At Harvard Divinity School Wednesday night, students, faculty and members of the public gathered to do what the Divinity School does well — get philosophical. Their pursuit: forming a better understanding of humans’ relationship to the natural world and imagining how it might evolve in the future. 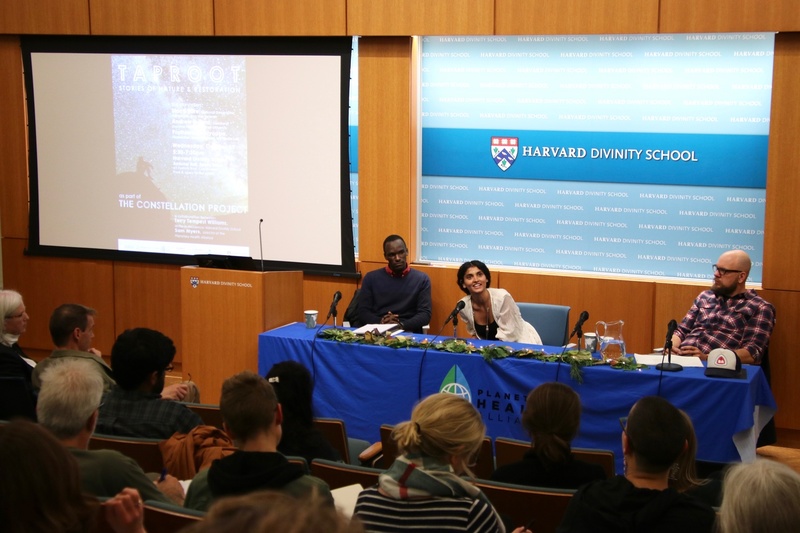 The event, titled “Taproot: Stories of Nature & Restoration,” was put on by the Constellation Project, and convened thinkers from a variety of backgrounds, who spoke about everything from indigenous communities, to religion, to mental health, each in relation to nature and humans’ complex relationship with it. 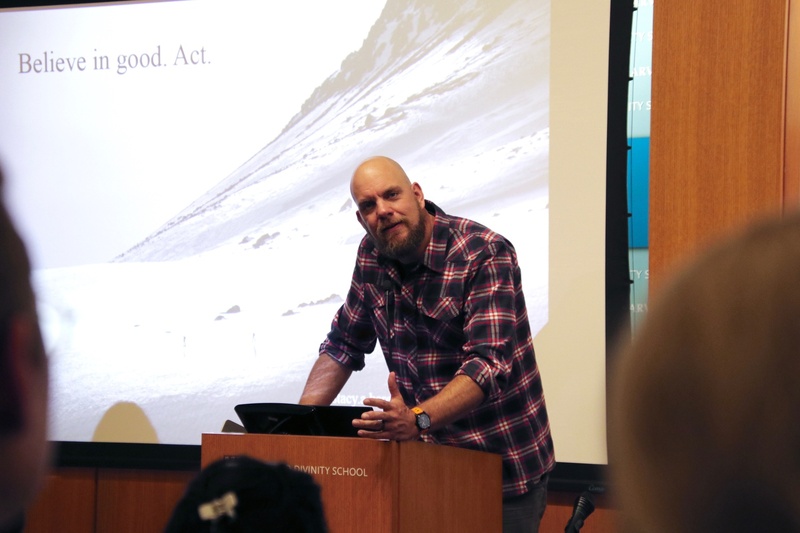 Stacy A. Bare, one of the headlining speakers, spoke to the audience about being an Iraq war veteran who struggled with addiction and suicidality after returning to the U.S. Bare said the outdoors saved his life, and today he has dedicated his life to encouraging people to explore nature. Bare spoke alongside Prathima Muniyappa, a researcher at the MIT Media Lab; and Andrew Nalani, a Steinhardt Doctoral Fellow at New York University. All three storytellers spoke about their own relationships with nature and spirituality. 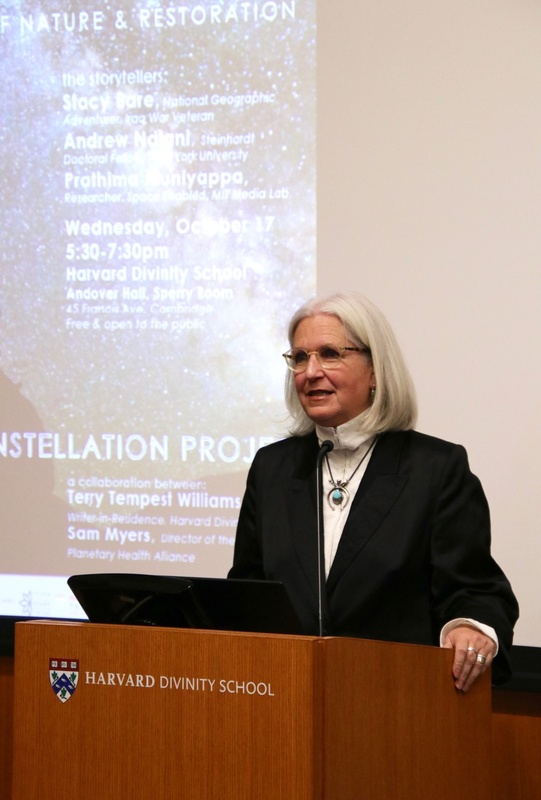 The event was led by Dr. Samuel S. Myers ’87, Director of the Planetary Health Alliance and research scientist at the Harvard School of Public Health, and Terry Tempest Williams, author and current writer-in-residence at the Divinity School. “We brought together three powerful storytellers,” Williams said in an interview before the event. At the core of the project’s inception, for Myers, was the realization that humans’ relationship to the Earth was in crisis. In an open discussion after the speakers finished, attendees commented on how the event had changed their perspective on science, nature and spirituality. “What I hope people come away with is a little discomfort, some sparks, some new ideas, hopefully an interest in engaging in this conversation in the longer term,” Myers said.